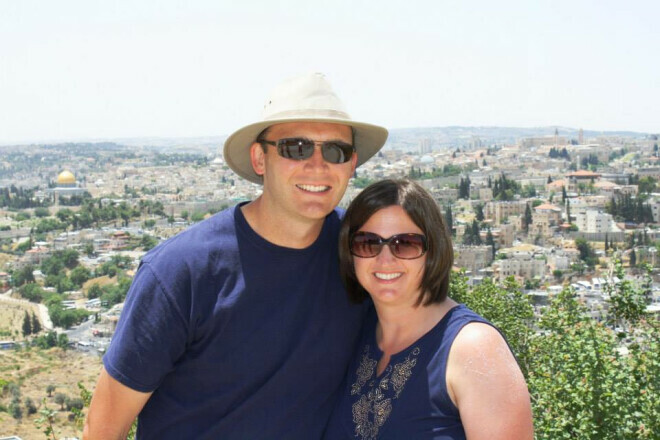 Today we visited Herodium, the Lion's Gate in Jerusalem, the Praetorium in Antonio's Fortress, the Church of the Holy Sepulchre, and the Garden Tomb. Although visiting all of these sites was amazing, the Praetorium in Antonio's Fortress – where Jesus was questioned by Pilate and then flogged, beaten, and mocked before walking to the cross –had the most impact on me. Thinking about the process of crushing olives and considering that this garden is where Jesus came to pray before his arrest, it gives some perspective on Isaiah 53:5 where it says that, "He was crushed for our iniquities," and again in Isaiah 53:10 it says, "But the LORD was pleased to crush Him." The evening that Jesus spent in the garden was a time of agonizing prayer, absolute betrayal and ultimate desertion. And that was only the beginning of the crushing of Christ. 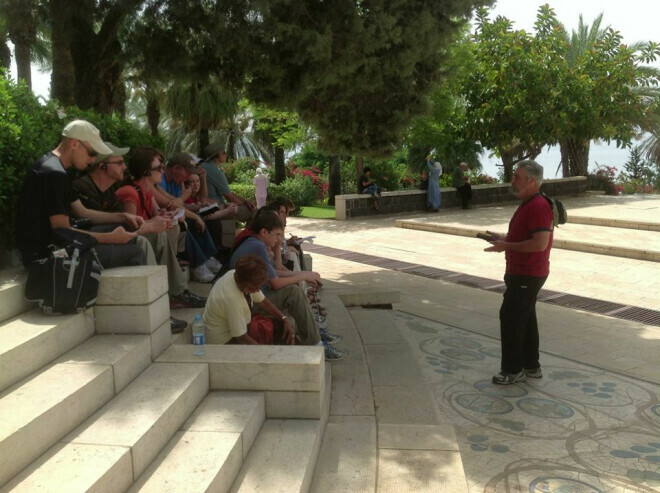 Today we were scheduled to spend the whole day in Jerusalem. But at breakfast, our Israeli guide informed us that he had received an email stating that the US State Dept had issued a warning against Americans being inside the old city today. Today was the Sabbath or commonly known as Shabbat, plus it was also the anniversary of the 1967 six-day war of Independence, and there was a possibility that the Muslims would "act up." To try and describe in words what we saw is such a daunting task. 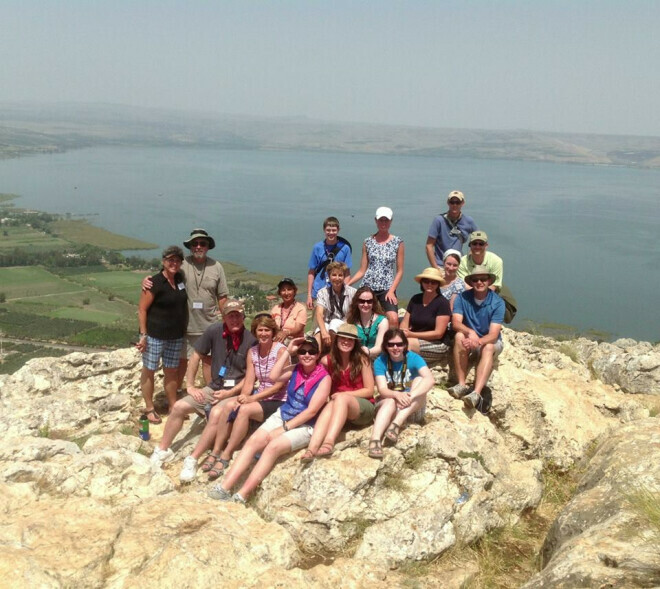 We were able to visit Mount Carmel and see where Elijah challenged the prophets of Baal. To grasp what it would mean for the people to take the 450 prophets of Baal down to the Brook of Keshawn and slaughter them was mind-blowing. This is a special week for Daniel and me! We celebrate 31 years of marriage and it is a joy to do so in Israel! 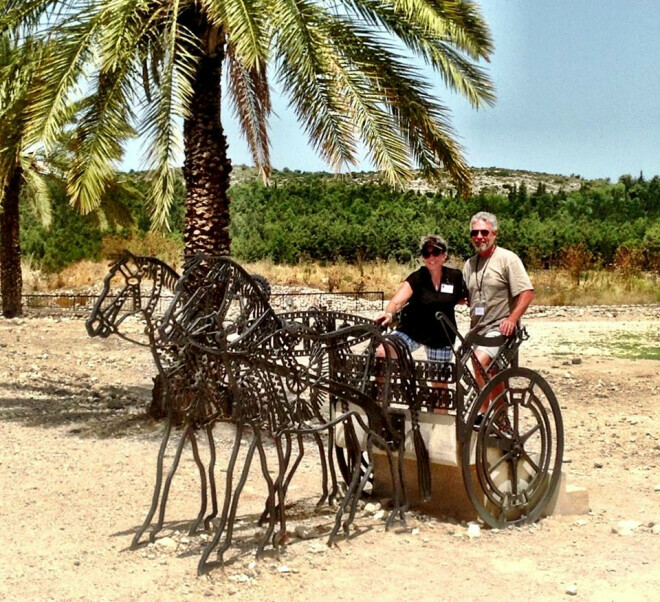 In the morning we left the Sea of Galilee (one of my favorite places so far) and headed to Bet She'an. 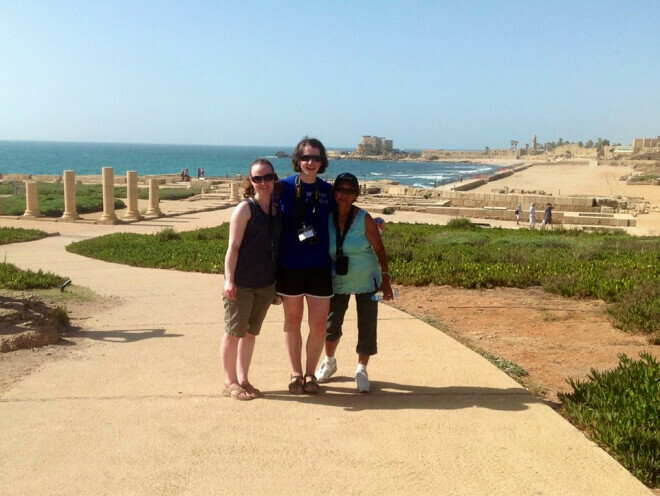 According to 1 Samuel 31, this is where Saul and his sons were killed in battle. This was the turning point in Israel's history for David to become king--a "man after God's own heart." I don't have sufficient words to speak of the reality of being where Jesus was in a boat 2000 years ago overlooking the places where most of His earthly ministry was spent. 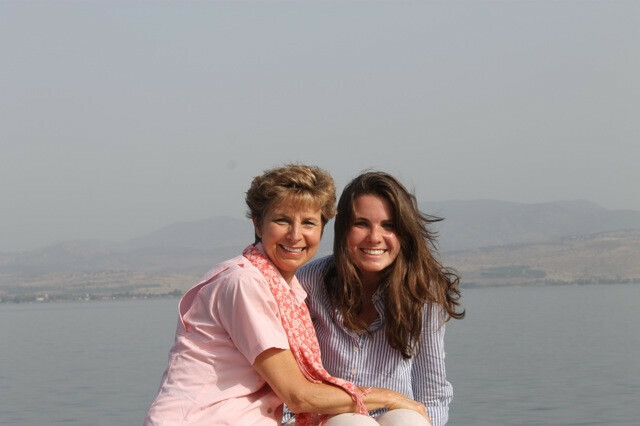 When we got to the middle of the sea, we sat there for a bit while the words from Luke 8 of Jesus calming theon the Sea of Galilee and Matthew 11:20-30 were read (we could see Chorazin, Bethsaida, and Capernaum). We then sang “It is Well With my Soul” as a group, and it brought tears to my eyes as emotion washed over me. 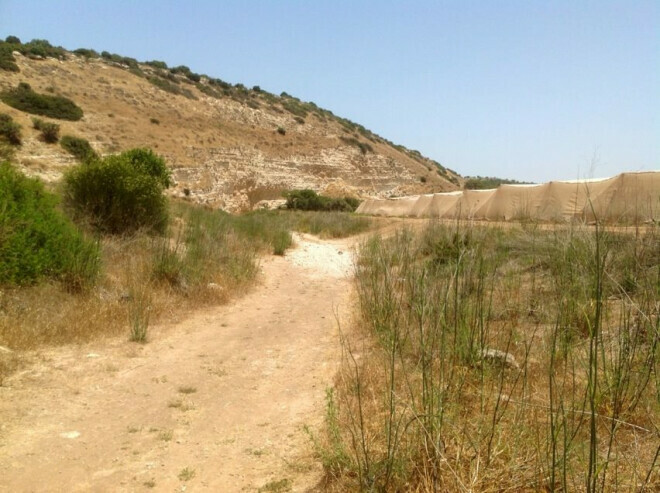 Our first in-depth visit was at the Elah Valley where David met Goliath for the first and last time (1 Sam. 17). We stood in the (now) dry riverbed where David selected his five smooth stones, and read the story of this exciting narrative other life of young David. Clearly, this story is not about how big Goliath was (and he was nine feet tall! ), nor about David and how young and inexperienced in war he was (and he was but a youth without any war experience).